Tarpon Point, Cape Coral, Florida 33914 is a Luxurious Waterfront community. Tarpon Point offers three high-rise waterfront condominium buildings overlooking a deepwater marina. 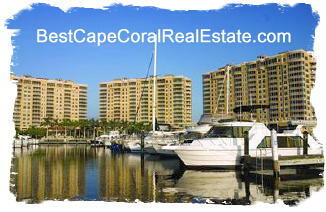 If you need more information about Tarpon Point or other Cape Coral Real Estate, feel free to Contact Shellstar Realty. Our Realtors Have several years experience and can help you obtain the best price on your real estate purchase! Click to view other Cape Coral Communities. Tarpon Point Marina, Cape Coral Florida 33914 – Easy to use Hourly Updated MLS Search!